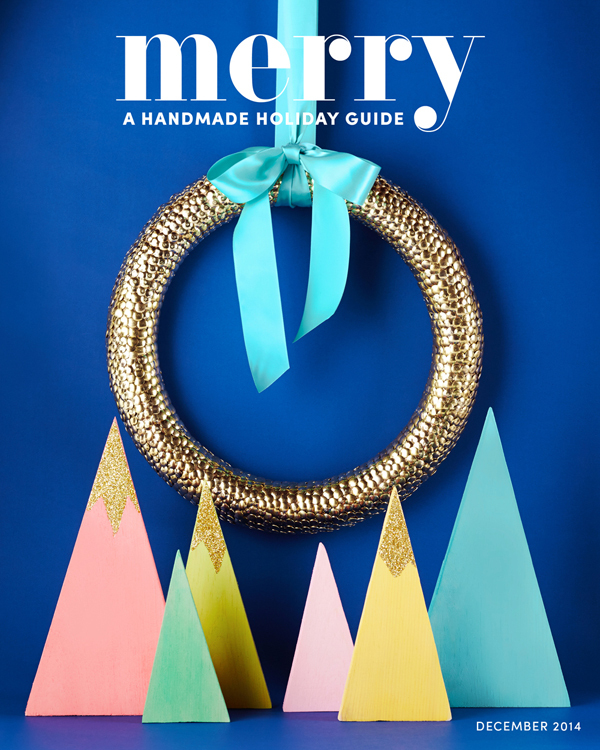 My sweet friend Melissa from The Sweet Escape spent hour after hour putting this beautiful magazine together and I think it’s the perfect mixture of modern, vintage, classic and rustic, well something for everyone. I am extremely honoured to have been able to contribute. a moment and flip through its beautiful pages. The Nutcracker playing in the distance. 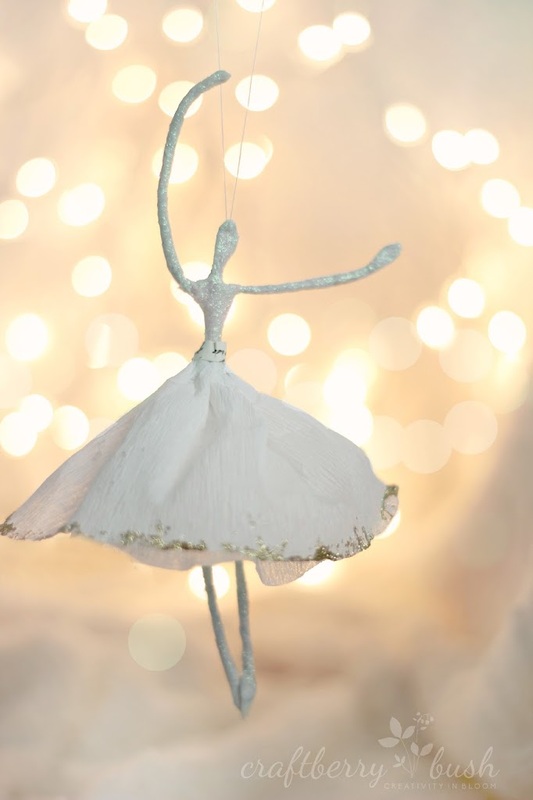 These little ballerinas are reminiscent of that, and they will dance the night away as they adorn your tree and dance to To The Sugar Plum Fairy . 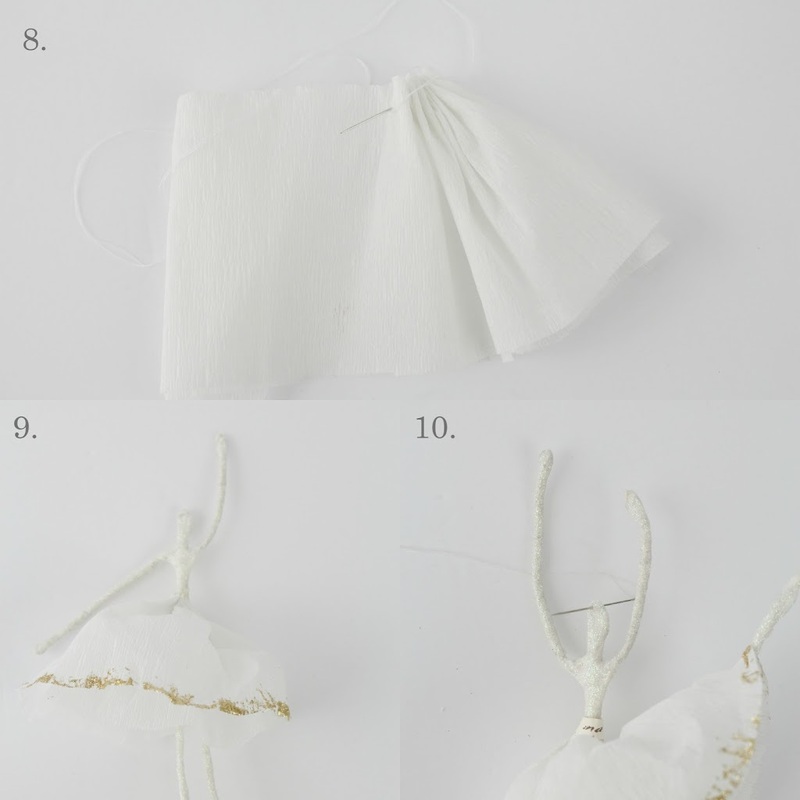 Materials: Craft wire, pliers, white floral tape, fine glitter, white crepe paper, hot glue, needle &thread. 2. 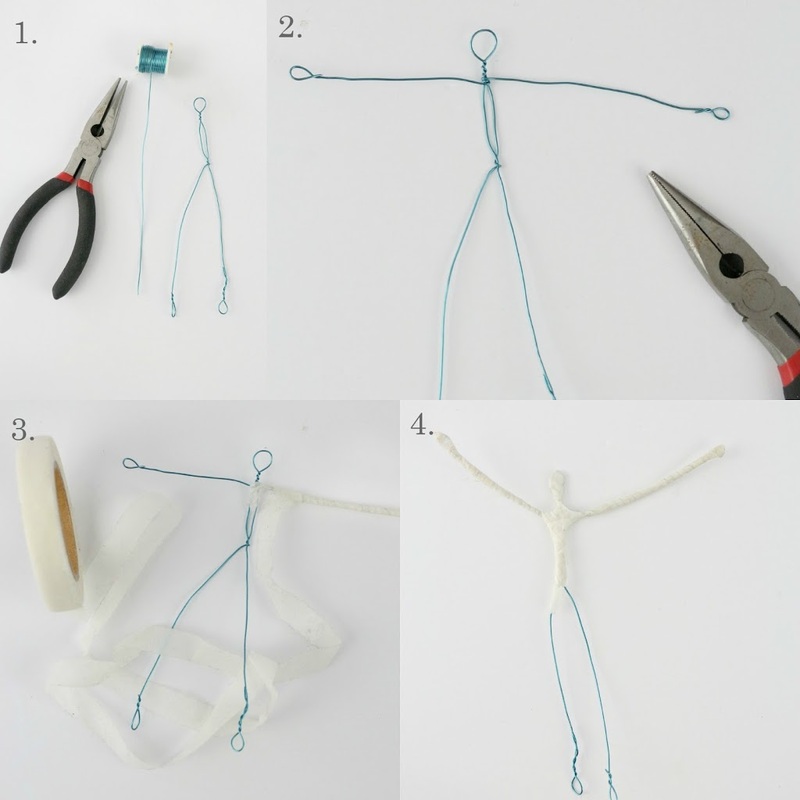 Wrap wire just below the head to form the arms and make small loops at either end for hands. 3. Wrap floral tape starting at the arms and work your way towards the torso. 4. Continue to wrap tape around the remainder of the body . 6. Apply craft glue on both sides of body. 7. Cover with fine glitter set aside to allow to dry. With needle and thread saw and gather the top as shown. 9. 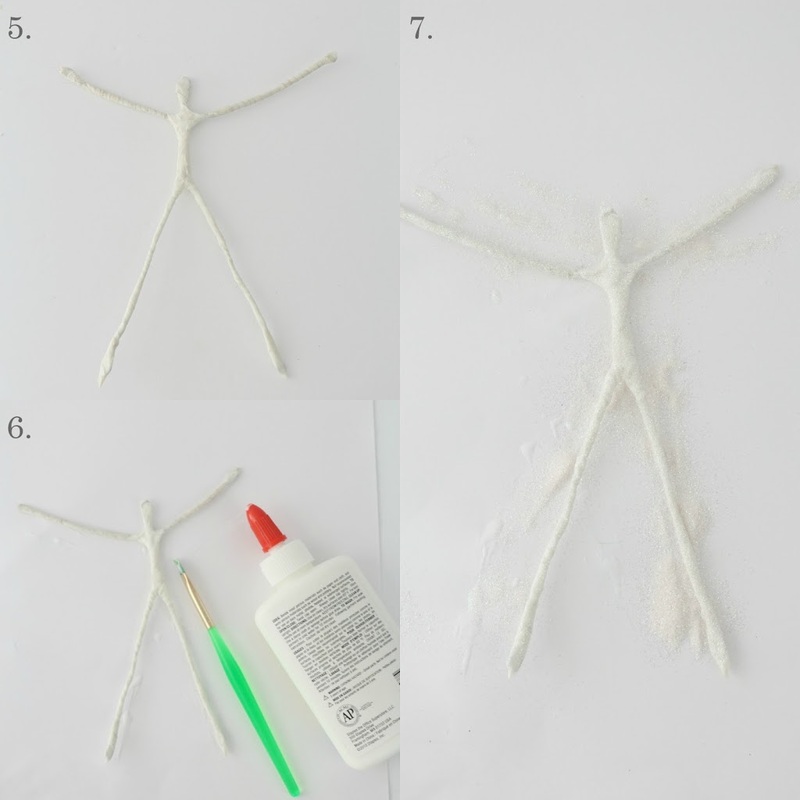 Attach with hot glue to the waist. 10. Gently thread string to top of head and make a loop to hang. Aren’t these just so sweet? They look like they are floating in a winter wonderland. So cute!! Thanks for the tutorial! 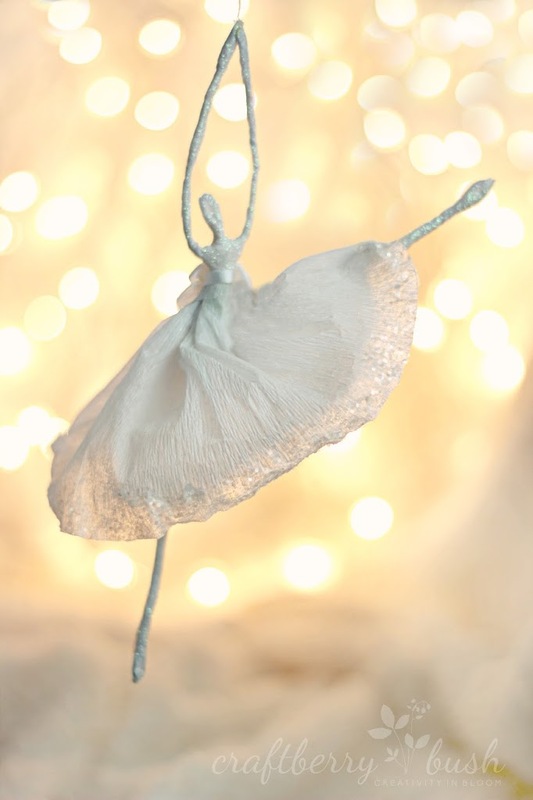 Your ballerinas are so delicate and lovely! The first ballerina’s skirt almost looks transparent along the edge. How did you do that? 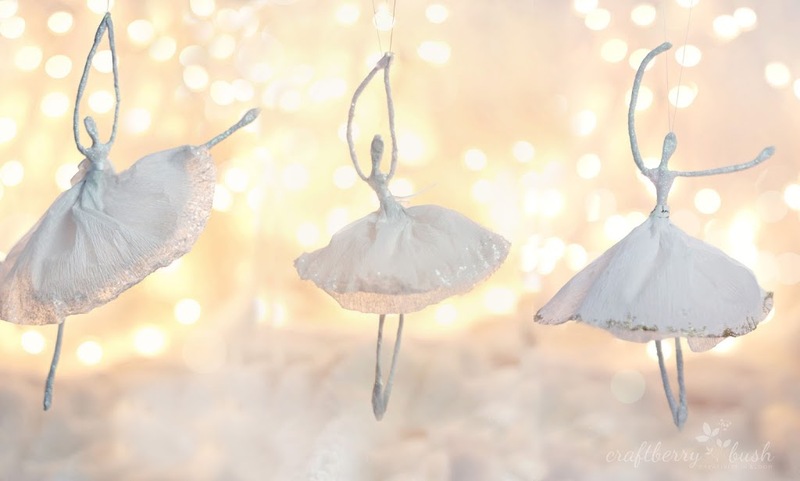 Those ballerina ornaments are darling! Such a magical Christmassy craft! Those ballerinas are BEAUTIFUL! I would love to make some to dance across my tree this year. Pinning! Both of my daughters are ballerinas. I’m going to make a ton for the Christmas tree this year. Thank you!! Instructions are great and you did a wonderful job. I love them. 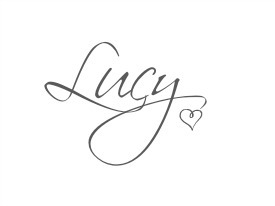 Lucy – these are just gorgeous! 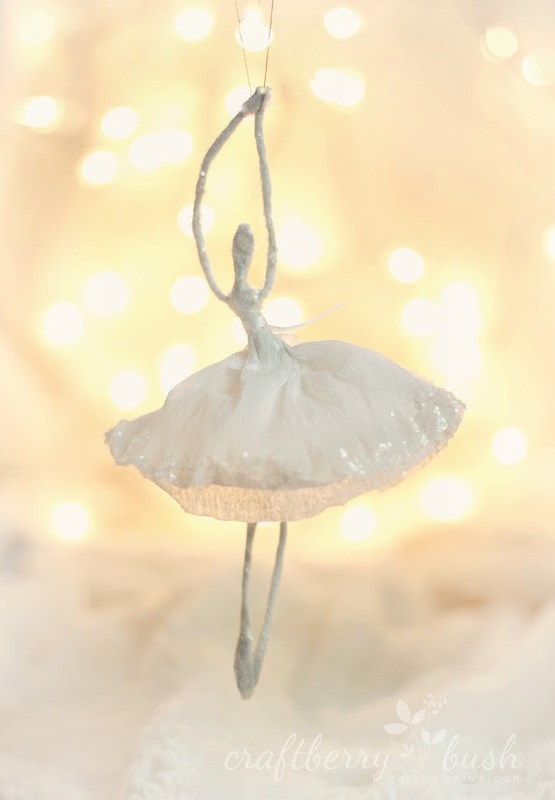 I was thinking of doing a 12 days of Christmas tree and these little ballerinas could be my 12 ladies dancing! Just the look I had in mind! You are amazing! PS – thanks for the Christmas download! Thank you for sharing your talent. My grandaughters all dance and they will love these.